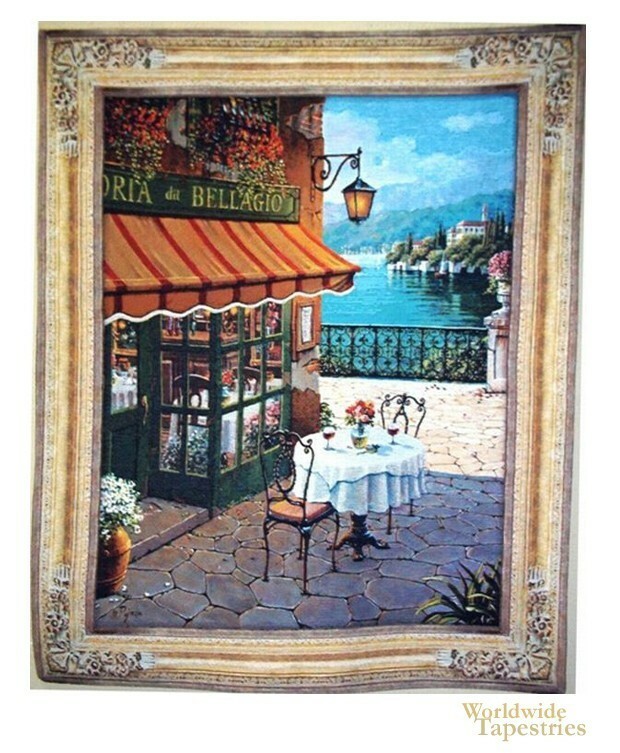 This charming Side Street Scene tapestry shows a cafe on the beautiful Mediterranean coast. The stunning blue water of the sea can be seen with the distant hills, trees and villas. The charming cafe with tables and chairs, and flowers both inside and outside, provide us with a gorgeous scene to enter the world of life on the European coastal town. "Side Street Scene" tapestry is backed with a lining and has a tunnel for easy hanging. Dimensions: W 38" x H 47"